After earning a Ph.D. in Medical Sociology from the University of Miami, Dr. Gil became the Director of the South Florida Youth Development Project at the University of Miami. In 1992, Dr. Gil joined the Western Consortium for Public Health at the University of California, Berkley where he was a research scientist. Later, he became an Assistant Professor of Human Development and Family Relations at the University of Connecticut. He was recruited as an Assistant Professor of Social Work and also has served in numerous advisory and review committees to NIH institutes, including the National Institute on Alcohol Abuse and Alcoholism (NIAAA), the National Institute on Drug Abuse (NIDA), the National Institute in Mental Health (NIMH), and the Substance Abuse and Mental Health Services Administration (SAMHSA). Dr. Gil has served as the Director of Research Development for the School of Social Work, and the former College of Health and Urban Affairs (CHUA). 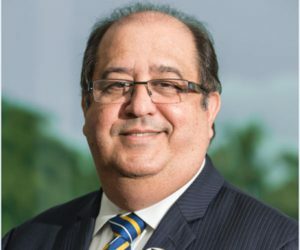 Currently he is the Associate Vice President for Research Development for FIU.